Peyton’s Broncos face the Ravens defense in today’s divisional match-up. This is a very intriguing playoff match-up. 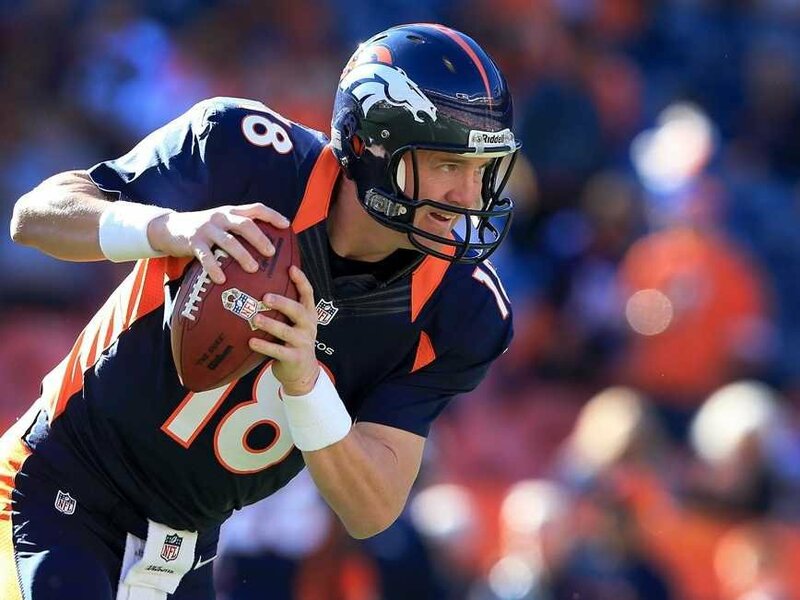 The Denver Broncos have enjoyed a dream of a season in 2012 as Peyton Manning has delivered. Not since John Elway have they finished with a record as well as 13-3. Their defense finished ranked #2 in all of football yet The Chancellor is still not convinced. While it’s true they beat Baltimore in week 15, keep in mind Ray Lewis wasn’t there and neither was SS Bernard Pollard. If you go back and look at that football game, Denver held a 10-0 lead when seconds before halftime, Flacco threw a lazy sideline pass. It was intercepted and returned for a touchdown and boom…17-0, the game was over. One intriguing fact that no one thought of with Peyton going to Denver was his play in the cold throughout his career. He did have one great playoff game in 2003 on the road in Kansas City when the Colts won 38-31. He threw for 304 yards and 3TDs in that game yet had Edgerrin James with him who rushed for 125 yards. It was 40* at kickoff and he did lean on his running game in that one. Others in New England didn’t go so well. Remember 2003 & 2004?? The temperature will be in the 30s for this one…can he lean on his running game? At 5’9, 200 lbs, we’re not sure Ronnie Hillman has enough rocks in his pockets to run hard in a playoff against Baltimore. Moreno should get the bulk of the carries in this one since he’s 215. Each of which have rushed under the league average of 4.0 at 3.8 and 3.9 respectively and they have fumbled 3 times. They’ll have to handle the football 30 times or more to keep control of the game. Yet neither has been a playoff starter before… how will nerves and the Baltimore defense make them respond?? Although our CEO has had his problems with Joe Flacco, he did play well in the second half of the wildcard game against the Colts. Do you realize he has 4 road playoff wins under his belt?? 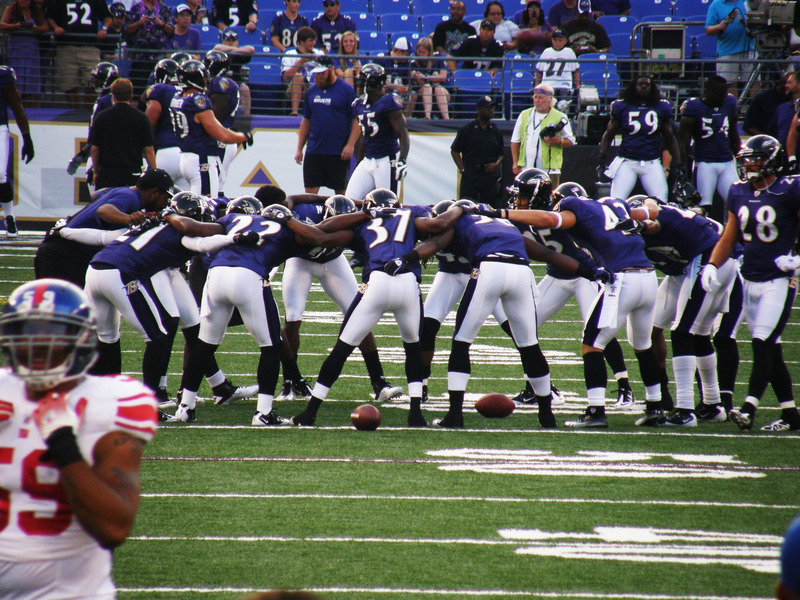 For the Ravens to win he needs to throw downfield and not play like a scared rookie and keep dumping the ball to Rice. He has to go through his progressions. This is the make or break game of Flacco’s career. He could be heading to free agency and he needs a signature win to solidify his status as a starter in the National Football League. We don’t know if you noticed but RB Bernard Pierce #30 has been running the football with some muscle for the Ravens lately. Last week he ran for 103 yards on 13 carries, the week before ran for 89 in the finale against the Bengals, and 123 against the Giants. Ray Rice is still in the picture but their change of pace back is a bruiser built more for a cold grind it out day like today. Playing with emotion trying to get Ray back to the Super Bowl. The fact of the matter is the Ravens are coming in with more playoff experience at key positions. The team has banded together to get Ray Lewis back to the Super Bowl and we know how emotion can play in high intensity football. When Denver ran out to the AFC West crown, the rest of their division was in the middle of losing 17 straight games and now the Chiefs and Chargers fired their coaches. Between a team that has had to fight and claw to get to this point versus one that coasted playing weak teams. The Chancellor has to take the Ravens because they are the most battle hardened. How will Denver players react to being roped into a street fight?? Don’t forget that when Peyton asks the Denver crowd for quiet, it will allow the Ravens to get their defensive adjustments also. Peyton Manning has known nothing but close games with the Ravens. This entry was posted in 2012 Post Season and tagged Baltimore Ravens, Denver Broncos, Joe Flacco, NFL, nfl playoffs, Peyton Manning, Ray Lewis, sports. Bookmark the permalink. Nice touch with the blizzard…lol I didn’t even bring up the 41-0 loss to the New York Jets in the cold in 2002. It was 34* in that one…. remember?? I agree, Manning doesn’t have a good track record in cold games. If the Broncos do manage to win I will be hoping for a blizzard and 0 degree weather when the Pats show up next week for the AFC Championship.